I was asked to repost this from the FB pages, so I will edit it for further clarification when I get the chance and time. Coming up with a flavor/style is hard for this game. Each faction's starting forces contain elements that change the way in which their force plays, some factions more drastically and more abundantly so than others. So let's try to sum up some of the main points of each faction, and I might add in a little of their flavor as I can. You can also lookup DoomTrooper Radio on YouTube as we have begun doing just this review per faction. Though the Capitol review is hidden behind A Chris Birch interview. Which might get redone later on as we feel there was a distinct time crunch on that portion of the podcast. Now before we begin there are a few things that set Warzone apart from other systems. Unique mechanics that hopefully you have gone over in the main rulebook. I will discuss some in brief following this and then move on to the faction breakdowns. First: The resource mechanic. If you play a basic game resources are not so momentum shifting as they are in the advanced games. Resources drive your "awesome" Active abilities on your models, enable you to "turn to burn" to alter certain specific things (add an action, increase ROF or ROA, or to draw a card), and allow you to play the card mechanic if you so choose. These resources are generated by your warlord in abundance if you are playing advanced games or marginally if you are playing basic games. Lords and Troop choice squad commanders also generate 1 apiece. All three should be guarded as TTB: abilities are quite good usually. There are mechanics built in to help protect these resource generators if you choose to make use of them. Losing your warlord while detrimental is not game ending by any means. Though it will heavily shift momentum in your opponents favor. Third: The Power Shot(Perfect)/Fumble(F#€%) rule. 1's are always successful. That guy you spent time making invincible? Well he can be brought down by a lowly grunt, or a mass of shambling gun toting zombies... By rolling 1's. Conversely 20's are always a failure no matter the stat. Fourth: Rapid Deploy. Troops that either parachute in or in some fashion are able to appear anywhere other than the deployment zone are called Rapid deployment troops. Rapid deploying troops are a part of each faction, and each faction has their own flavor of rapid deploy troops. So RD should not be a deciding factor when picking a faction. Unless you absolutely must RD everything. Then go Capitol. There is no hope for you. Note: This is all based on standard force organization and a generally accepted standard points cost which is 1000 points and structured like so according to the force org chart. Minimum of 1 Warlord, 2 Troop selections. Maximum of 1 Warlord, 1 Lord slot, 4 Troop slots, 3 support slots and 1 light vehicle slot(monsters as well). Some interchanging can happen but usually this is the organization. The remnants of a "Germany" power consolidated into a Corporation. Known for excellence in manufacturing and training. It shows in vehicle repair and training doctrines that you can take for each squad. Also a faction that actually has artillery as miniatures instead of as cards. Don't worry they have plenty of arty cards as well. 1. Best/cheapest rapid deploy troops in the game. Etoiles Mortants = flamethrowers in your backfield. 2. Juggernaut spam is a thing. The name says it all. Heavily armored troops that can run through a buildings walls to get you. 3. Artillery line. 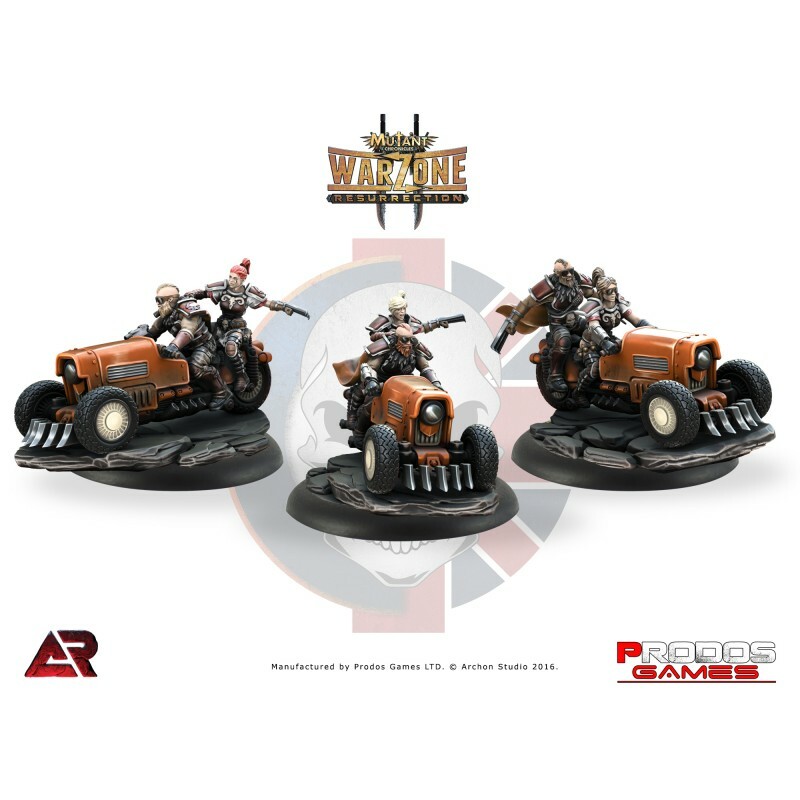 The only faction that has artillery units in non card form. 4. Vorreiters. Armored tracked bikes that are darn quick and also good in CC. 5. Rapid deploying anything in their list... Thanks to tactical doctrines. Some really neat lists can be built with this force. So far I have not seen a true gun line come out of this faction. Works really well as a combined arms approach. Some behind the lines troops backed by some solid medium range to close range Jugernauts (where they can start to employ all their weapons) sprinkle in some arty or some sneaky Venusian rangers for a good time. Squidhelmets, Squidfaces, or Bhams as they are Unaffectionately nicknamed. Psychic power wielding, stand in the gap against the Dark Legion, penultimate good guys. Their religion is "Kill the Dark Legion" period and they are good at it. This faction is really good at making a solid close combat/ranged list. They can go almost entirely CC very well or entirely ranged pretty decently. The only faction that has a truly solid meat shield troop choice. I mean that literally they have shields. Their strength I think lies in their basic troops being able to create some unique formations. 1. Every squad gets a psychic power or two. Including their vehicles. Pyschic powers buff/debuff/shoot at enemies and friends. 3. Decent and very versatile troopers (a 2 of selection required by force structure) that can be lead by inquisitors. 4. Inquisitors... Wall of text dudes that are pretty insane. Seriously look them up. 5. Does well as a mixed force of ranged and Close combat with added psychic shenanigans. The most versatile faction IMHO. Generic "America" faction and owns it gloriously. Can be a fast attack or static gun line very well. Can shift the troop type around like crazy. You want all support troops... Have at it for a cost. Tactics mechanic here enable your warlord to change the entire force in a subtle or not so subtle way for a small cost. Have I said it before... The most versatile faction. 1. Vehicles... Sharks are amazing. Somewhat durable if not played against right and they pour on the Machine Guns. Orcas are armored walkers bristling with weapons and are definitive squad killers. The complaining never ceases on either. 2. Only real faction that can wholly rapid deploy without a chance of catastrophic failure thanks to warlord Thomas or a tactic. (Troops, support, and warlord) Can also rapid deploy a majority of the force with reduced effectiveness via a force wide tactic. 3. Heavy infantry are in my opinion the most versatile and useful infantry in the game. Auto cannons with great range, st, avv, and chainripper bayonets with a good CC stat, but we pay for the versatility. They are costly. 4. Banshees... I cannot get enough of these guys. Very versatile rapid deploy troops. Good in both CC and Ranged. Huge movement advantage... Base move in open terrain is 8" most are 5". A run/engage puts them at 16". These dudes have little problem doing what they need to do or being where they are needed. 5. Faction wide tactics that give a small buff or ability across a majority of their forces for a small cost. This can change the whole flavor of your entire force or make them slightly better than they were. DTR Capitol short review Behind Chris Birch's RPG interview which ends roughly 47 min into the podcast. We are looking to revisit this review later. mysterious machine faction that should not exist as dark symmetry affects all AI machines. A faction that appeared practically overnight in the storyline. Since they are a by a majority, machines. Each squad can take cybernetic/surgical enhancements altering their cost and stats. This factions strengths so far are in its ability to toss AVV down the field in that even their basic troops have AVV. Cards add in the old flavor of high armor values as even the basic troops can get up to 19 armor with cards abilities and the right warlord. 1. Best gun line faction. Their basic troops have rof 2, and those troops are cheap, with paper armor but fixable with their cards. 2. Cylons or Terminators take your pick. Depending on Attila MK. 3 or MK. 1. Durable and slightly expensive the MK.1 buffs the MK.3's and all of them lower your opponents armor... I see this as it's own army. 3. Super specialized support. Hard to master but it pays off big time when you do. Teleporting troops, practically invisible troops, scorpions popping up out of the ground much like transformers the movie, and pure machines running/gunning you down. 4. Scorpions. Think the scorpion from Transformers and you have it nailed. The pinnacle of glass cannons so far. High RoA and high RoF both of which combined can be used to down a squad or a Warlord. 5. Beastly Warlords with phenomenal abilities or really good Support warlord which gives armor bonuses and heal ability. 1: Razides! Beastly masses of muscle/metal with really good shooting instincts. Basically a mini tank on the field. With nazgaroths they ignore all cover modifiers. 2. Necromutants. Can achieve a high heal on a large unit, and sprays the enemy with acid when killed in melee. Imagine aliens when they get shot in close quarters. 3. Stalkers. Expensive but deadly and precise. Fielded in large numbers can be expensive but their stats go up for each pair fielded. 4. Undead legionnaires are massed shambling hordes. Until you add a necromutant leader to them and a alot of cheap hmg's. 5. Valpurgius's abilities and psychic dominance nicknamed him the evil space pope by the players. Cannot get away from the draw to play this guy. The rest of their warlords are equally brutal in their own way. just released obvious UK faction. Most units in the game in a single faction, and more coming. Imperial is a full faction book vs the starting factions in the main rulebook. This is the first full faction book, and eventually each faction will be as fleshed out. This cannot be stated enough. The free PDF has roughly half of the units as the full retail book does. Which is not out yet. 1. Medal system is pretty cool and gives forces variety. 2. Trenchers cheap and basic but there are a lot of buffs/solos/addons that can be purchased to make these guys on par with support troops and cost just as much. 3. The hurricane walker lives up to its name. Death on two legs and really cool special rules as well. Gun nest versions hurls walls of lead and the Dome version has a really cool EMP ability. 4. Special forces: Golden Lions that deliver on the field just like their name suggests pouncing from terrain into enemies. Blood berets: nuff said' plasma carbine toting hand an a half chainrippers... Gear to cover just about any situation. 5. There are only half of the faction/units/rules released so far in the free PDF. The rest are yet to come in the retail version of the book. Samurai and eastern culture abound in this faction, excels in melee but can stand and deliver if built right. Ki psychic powers make up for a lack of avv in their basic troops. Frakin dragons! 1. Basic troops will destroy you in melee. Support troops will do it much faster. Beware the table that puts you in caverns with these dudes. 2. Demon Hunters, heal 8 in a max squad of beefy 4 armed demons with an hmg and 3 katanas... Death in many forms and hard to kill. 3. Tiger dragons, rapid deploy or infiltrate. Excellent defenders of objectives with their defensive stance or are excellent offensive melee beasts. 4. Meka. Excellent melee and ranged vehicle. Crit dam 2 on the blade can make sharks disappear. Banshees get a 16" movement? I thought that the bonus for movement only counted once, which would be a 13. If so, awesome!!! Yeah there was a breakdown by Jarek on fb of the application of the math. Anything that modifies the movement stat shows like this (Mv+3)(engage x2). So it ends up like this ((5+3)x2)=16". Anything that adds to the total inches moved like cards and some active abilities, shows up like this. (Mv)(engage x2)+bonus movement. So that would be like this ((5)x2))+3=13"
However from what I understood from the rules discussion forum modifier to movement (not movement value) can only be used to counter negative modifiers (e.g. Terrain or cards), not to exceed the x2 movement value (in this case 10 inches). I have been informed that this is not correct and that the "(+x) inches" cards and abilities add to the aggregate allowable movement not just for the purpose of light and heavy terrain, but towards the total movement. Since when have all WolfBanes twohanders? DoomTrooper handles some Punisher sword better. And what about those "necroboots" - they arent finished! Not sure what the issue with their boots are - they seem to have standard military boots with puttees wrapped on their legs. Thanks for the reviews Blue Shark. Looking forward to the Imperial review on Doomtrooper Radio!